Syrian refugees at the Zaatari refugee camp on the Jordanian border on 31 May 2017. What does it mean to be resilient — to be able to face trauma and get through it? You're resilient if you're like a stick of bamboo — able to bend with the winds rather than break in half. That's how psychologists like to explain it. But in different cultures, the source of that strength can be very different. That's the finding in a study published in the journal Child Development. The researchers interviewed Syrian tweens and teens who had been displaced because of war. "In the West, we tend to think of resilience as inner psychological strength," says Catherine Panter-Brick, an anthropologist at Yale University. "In the Middle East, resilience is more of a collective and social strength." Panter-Brick and her colleagues found that, for young refugees in Jordan, friendship gives them the strength to endure. I wanted to learn more so I interviewed some of the teens from the study. For one 15-year-old Syrian girl in Jerash, Jordan, resilience is "to mix with people, to not be introverted or alone." Another teenage refugee in Jerash said it means she was able to adapt to her new home. A 16-year-old Syrian boy who has sought asylum in the nearby city of Zarqua agrees. For him, resilience means "that I have Jordanian friends." The researchers asked the young Syrian refugees about their hopes for the future rather than the traumas they had suffered in the past. "We're often so focused on documenting the negative impacts of war," says Panter-Brick. "But that is only half of the story. We found that these young people actually prefer that you focus on their strengths rather than their vulnerabilities, their dignity rather than their misery, their capability rather than their vulnerability, and their resources and their agency rather than their victimhood." The young people said that resilience came from their ability to integrate into their new communities, to go to school and to work toward their dreams and ambitions. 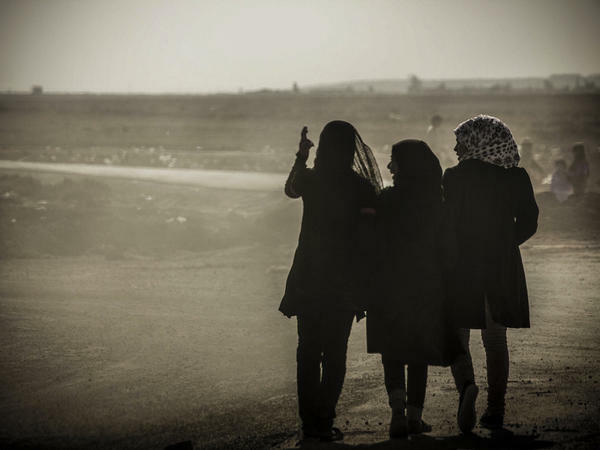 The researchers used that insight to develop a quick survey to measure resilience among adolescents who've been affected by the long conflict in Syria. It's designed to help humanitarian aid groups track whether their programs are working to improve the lives of young refugees. The questionnaire asked young refugees to rank their reaction to statements like "I feel supported by my friends" and "I feel my community treats me with justice." Did the comments ring true? The ranking was on a scale of one to five (with five being the most true). "Of course, resilience is a complex concept," says Rana Dajani, a biologist at Hashemite University who helped develop the questionnaire. The survey necessarily simplifies things to estimate how well a child is coping. "If we find that a child's resilience is low, we can then explore that child's community and their surroundings more in depth, to find out why exactly." There's another advantage to studying resilience. "If you just ask kids about their trauma and how how badly it affected them, they come out feeling worse." Dajani says. "When you start asking them about resilience, it helps them to look at their cup as half full rather than half empty." In other words, resilience is a way of looking at the world, says Suzan Song, a psychiatrist at George Washington University who wasn't involved in the research. "I think it's a really good study because I think in the world of psychiatry and mental health we need a lot more research on resilience," she says. It's important to keep in mind that resilience and vulnerability aren't mutually exclusive, she adds. "Resilience is not about being tough or emotionally strong, even." It's about remembering — as that 16-year-old boy in Zarqua does — "I am a human being that deserves to live and I have ambitions."